Supersonic Essentials Bagless Cleaner with large capacity and eco switch. Accessories include combination floor nozzle, crevice tool and upholstery nozzle. Washable hepa filter. The last thing you want when cleaning is to find dust clouds or emissions escaping your vacuum. The Russell Hobbs RHBCV2502 Cylinder Vacuum Cleaner utilises sealable bags to prevent dust escaping and its HEPA filter means an A rating for dust emissions. You won't have trouble getting to every nook and cranny with the RHBCV2502 as it has a long 5 m cord length. In addition the hose can reach for a further 1.5 m and it comes with a 2-in-1 crevice tool for hard-to-reach areas. 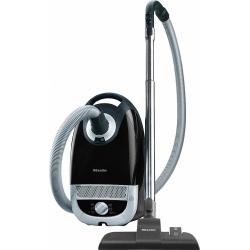 The Russell Hobbs Compact Cyclonic cylinder vacuum cleaner combines a powerful 800w motor with advanced cyclonic technology so this vacuum not only removes dust and dirt it keeps the surrounding air clean and dust free by dispersing the dust particles providing efficient results while cleaning your home. A true professional in every sense of the word but never without that famous smile, loved and appreciated by users the world over... ask any Henry owner. 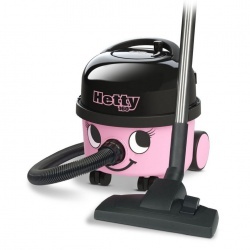 The new compact Hetty is not just a pretty face! She has all the features of Henry 200 in a petite package. It’s not just Hetty’s size and weight that has changed, she’s always ready to go with all new on-board accessory storage and improved floor tool docking. The cable and storage rewind system remains trouble free and spring free, keeping everything neat and tidy. Professional specification brings a 10m power cable and 6L drum capacity, keeping you cleaning for longer. PerformAir Endurance Bagless Cleaner with large capacity and eco switch. Accessories include combination floor nozzle, crevice tool and upholstery nozzle and eco brush. Washable hepa filter. 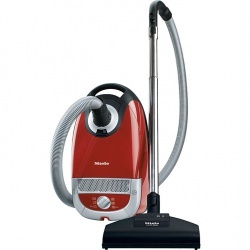 Miele cylinder vacuum cleaners are equipped with three high-quality, standard attachments: upholstery nozzle, crevice nozzle and dusting brush. They are stored dust-free inside the appliance or – exclusively with Miele – on a Vario-clip and are always conveniently within reach. A temperature limiter protects all Miele cylinder vacuum cleaners from overheating. Should the air passage become blocked – for instance by vacuuming up bulky particles – the motor will automatically shut off for safety's sake. After the cause of the shut-off has been eliminated and the appliance has cooled off, it is ready again for service. The easy-lock suction tube with unique socket system is easy to attach, transport and store. Adjust suction to suit the task in hand – for deep pile carpets, large debris pick up, or MAX mode for that ground-in dirt. Ball™ technology steers around furniture and obstacles with a simple turn of the wrist. The hose and wand release in one quick, smooth action, for cleaning everywhere around your home. 5 year guarantee. Ball ™ technology for easier steering. Light to carry. Weight 6.9kg. Instant release wand cleans up high and under furniture. Dyson V7 Trigger vacuums provide up to 30 minutes of fade-free suction. 15 cyclones work together to capture fine dust and microscopic particles as small as 0.5 microns. Cleaning your home more effectively. Designed with pet owners in mind, the Miele Complete C2 Cat & Dog Vacuum Cleaner has all the features you need to ensure you can enjoy the benefits of having pets without worrying about the compromising effect it may have on the cleanliness of your home. By using Miele’s Complete C2 Cat & Dog PowerLine vacuum cleaner, consumers can allow their pets to roam freely around the house, without the worry of their pet hair or odours being left embedded into sentimentally valuable textiles and furnishings. The efficient and reliable Turbobrush brushes as it vacuums to ensure the fast and reliable removal of fluff, hair and threads from virtually all textile floor coverings, without pulling any carpet threads. Avoid the embarrassment of pet odours in your home by using Miele’s Active AirClean Filter. The integrated charcoal layer will help to absorb any unwanted odours which often come hand in hand with having a pet, and leave your home smelling fresher, making it a more pleasant living environment. The filter itself has an integrated TimeStrip, which increases the convenience for the user, by indicating when the filter needs to be replaced. As a standard, Miele vacuum cleaners come with a three piece accessory kit, which in this model come integrated dust-free, so they are readily available for any task. The upholstery nozzle, crevice nozzle and dusting brush can be conveniently stored either inside the body of the vacuum cleaner or externally on a VarioClip. The 4.5 litre capacity 3D efficiency HyClean dustbags are also self-closing, which means you won’t be exposed to unhygienic dust when replacing the bag. Upholstery nozzle, crevice nozzle, dusting brush, SBD290 floorhead, STB 205-3 turbobrush, Active Airclean filter. The Dyson Ball Multi Floor cylinder vacuum is engineered for deep cleaning performance in every room. Its Dyson pneumatic cleaner head has a surface recognition sensor, raising and lowering to seal in suction across all floors. Radial Root Cylone™ technology channels the airflow efficiently, maximising suction to capture microscopic dust and allergens from your home. With Ball™ technology, it’s light to pull and easy to steer around the home, with no awkward moves. And it comes with two on-board tools – the Combination tool and Stair tool – which attach quickly and easily to the hose to tackle tasks in hard-to-reach places. It has also been acoustically engineered to be 25% quieter than its predecessor, to deep clean with less noise. 14 compact cyclones generate powerful centrifugal forces, flinging microscopic dust and allergens out of the air and into the bin. Ball™ technology follows you effortlessly around the home, with no awkward moves. A low centre of gravity increases stability and maneuverability – allowing accurate steering. *Than the previous Dyson BallTM vacuum. Washable lifetime filter is vacuum-sealed within the machine, capturing microscopic particles and allergens. Due to the high air throughput of the specially designed motor, the extremely high flow velocity ensures outstanding separation of coarse soiling and fine dust in different containers. The containers are emptied completely through the bottom with a minimum of dust being blown around. The innovative operating principle was certified by the IBR for its especially hygienic emptying process. Thanks to the HEPA* 13 lifetime filter, up to 99.999%1of the smallest particles of fine dust and allergens are retained by the system. This excellent filtration performance was confirmed by the medical organisation, "Allergy UK", and certified as suitable for those with allergies. The Miele Blizzard CX1 has been given the quality "seal of approval" for its powerful overall dust retention capacity. Innovative sensors measure the air throughput of the GORE® CleanStream® fine dust filter and automatically activate the ComfortClean self-cleaning function as needed. To complete this, the appliance switches off for about 20 seconds. The ComfortClean function can also be activated manually. Thus, ComfortClean guarantees consistently high cleaning performance. The cable for all Miele cylinder vacuum cleaners can be rewound easily with a foot control, avoiding bothersome stooping. Blizzard CX1 vacuum cleaners are also equipped with a touch control function, allowing the entire cable to be rewound at the touch of a button. DC50 is dyson's smallest upright vacuum cleaner. The technology inside has not simply been ‘shrunk’, but concentrated – every angle and dimension re-engineered. So it’s smaller, but has the performance of a full-size upright machine. 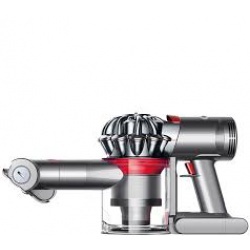 DC50 has dyson's most advanced cleaner head technology, 2 Tier Radial™ cyclones and the latest Ball™ technology. Advanced cleaner head technology – self-adjusting cleaner head for optimal contact on every floor type. Carbon fiber bristles remove fine dust from hard floors. 2 Tier Radial™ cyclones – Dyson cyclones capture more microscopic dust than any other. Light and durable – weighs just 11.6 lbs. Instant release wand – for cleaning awkward areas. Quick and hygienic bin emptying. On-board combination and stair tool. 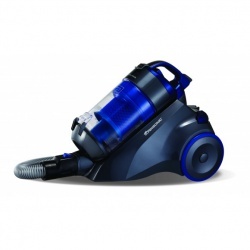 The Dyson V7 Motorhead cord-free vacuum is engineered to clean all floor types. For deeper carpet cleaning, the direct-drive cleaner head delivers 75% more brush bar power than the Dyson V6 Cord-free vacuum. Thanks to a revolutionary, lightweight cord-free format, it also transforms for easy cleaning up high, and transforms to a handheld for cleaning the sofa, stairs, or in the car. The Dyson V7™ vacuum delivers up to 30 minutes of fade-free suction and its hygienic bin ejector means there’s no need to touch the dirt. Self rights when toppled and hygienically ejects the dirt. Two tiers of cyclones increase airflow for powerful centrifugal forces, capturing more dust and allergens. The only vacuum that gets back up when toppled. Other vacuums fall down and stay down. Only Dyson Big Ball cylinder vacuums pick themselves up. Now, you can hygenically drive out trapped dust and debris with just the push of a button. There's no need to touch the dirt. Carbon fibre turbine floor tool. Adjustable to remove dirt across every floor type. Ball™ technology. With improved stability. Articulated handle for easy, versatile cleaning. The wand’s handle is now able rotates in three directions, allowing full 360° articulation for greater control. 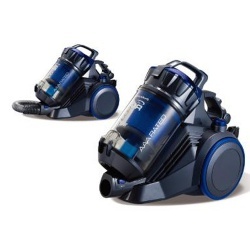 33% bigger than previous DC54 Dyson Cinetic™ cylinder vacuums. Longer wand reaches awkward areas. Extends up to 1250cm to clean hard-to-reach places. 19 cyclones stacked across two tiers generate higher centrifugal forces to capture more microscopic dust and allergens; trapping them in the clear bin. The Dyson V7 Animal cord-free vacuum is engineered to clean all floor types. For deeper carpet cleaning, the direct-drive cleaner head delivers 75% more brush bar power than the Dyson V6 Cord-free vacuum. Thanks to a revolutionary, lightweight cord-free format, it also transforms for easy cleaning up high, and transforms to a handheld for cleaning the sofa, stairs, or in the car – with extra tools for tougher tasks. The Dyson V7™ vacuum delivers up to 30 minutes of fade-free suction and its hygienic bin ejector means there’s no need to touch the dirt.